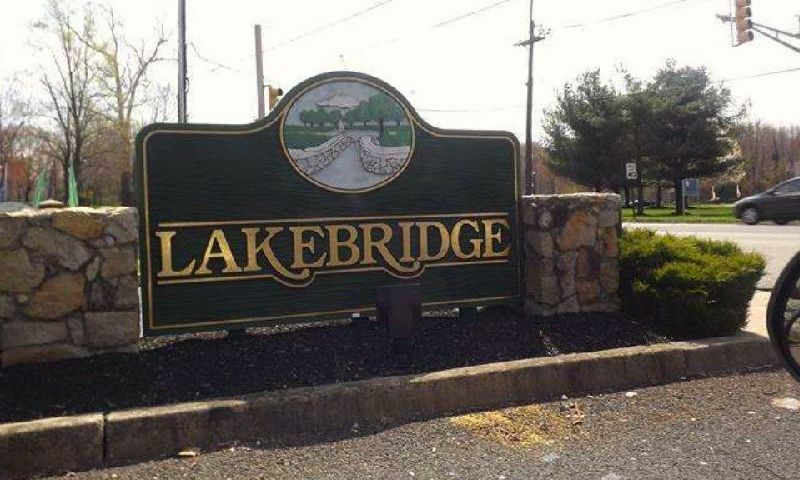 Lakebridge is a 55+ community in Deptford, NJ. This well-established active adult neighborhood has four single-family home models to choose from on a resale-only basis. With a clubhouse at its center, Lakebridge has the amenities to keep residents busy socially and physically fit. Lakebridge also benefits from a prime location in Deptford, which is conveniently located next to Philadelphia, with nearby stores for everyday conveniences, and attractions like museums, cafes, and water recreation. Residents have access to a lovely clubhouse where neighbors come together to stay connected. Homeowners have access to a ballroom for community get togethers, a library for a quiet afternoon with a new book, and a community room for events and club meetings. The terrific amenities continue outdoors. Residents can challenge each other on the tennis court, one of two bocce ball courts, or horseshoe pits. An outdoor pool and patio is perfect for relaxing during the warmer months. Lakebridge offers four single-family home models on a resale-only basis. These desirable homes range in size from 1,175 to 1,510 square feet and offer two or three bedrooms, one to two-and-a-half bathrooms, and an attached one-car garage. Eat-in kitchens, large private patios, and single-story living are just a few of the reasons why active adults love calling Lakebridge home. Residents will also enjoy the low-maintenance lifestyle that Lakebridge offers thanks to the homeowners' association fee that handles snow removal, lawn mowing, and common area maintenance. Living within Lakebridge means having a full social calendar. Neighbors regularly gather for games of billiards, cards, or bocce ball. Get to know other residents with casino trips or movie nights, or stay in shape with line dancing or challenging a friend to tennis. Lakebridge has the clubs and events to keep homeowners busy and happily pursuing their interests. Lakebridge is located in Deptford, New Jersey. A Walmart Supercenter is conveniently located across from the community. Just a few doors down are restaurants, banks, and a Walgreens. For cross-state travel, the New Jersey Turnpike is around the corner and, for farther travel, Philadelphia International Airport is just 15 miles away. Deptford and the surrounding area have several restaurants, shops, and plentiful recreational opportunities with the Delaware River and Red Bank Battlefield Park next door. Big city entertainment is just a quick drive away in Philadelphia and with Atlantic City just an hour's drive, residents will never lack in things to do. Lakebridge in Southern New Jersey has the amenities, active lifestyle, and location to make it an exciting 55+ community in Gloucester County. There are plenty of activities available in Lakebridge. Here is a sample of some of the clubs, activities and classes offered here. Lakebridge offers four single-family home models on a resale-only basis. These desirable homes range in size from 1,175 to 1,510 square feet and offer two or three bedrooms, one to two-and-a-half bathrooms, and an attached one-car garage. Eat-in kitchens, large private patios, and single-story living are just a few of the reasons why active adults love calling Lakebridge home. Please Note: Floor plans are not available at this time. 55places.com is not affiliated with the developer(s) or homeowners association of Lakebridge. The information you submit is distributed to a 55places.com Partner Agent, who is a licensed real estate agent. The information regarding Lakebridge has not been verified or approved by the developer or homeowners association. Please verify all information prior to purchasing. 55places.com is not responsible for any errors regarding the information displayed on this website.